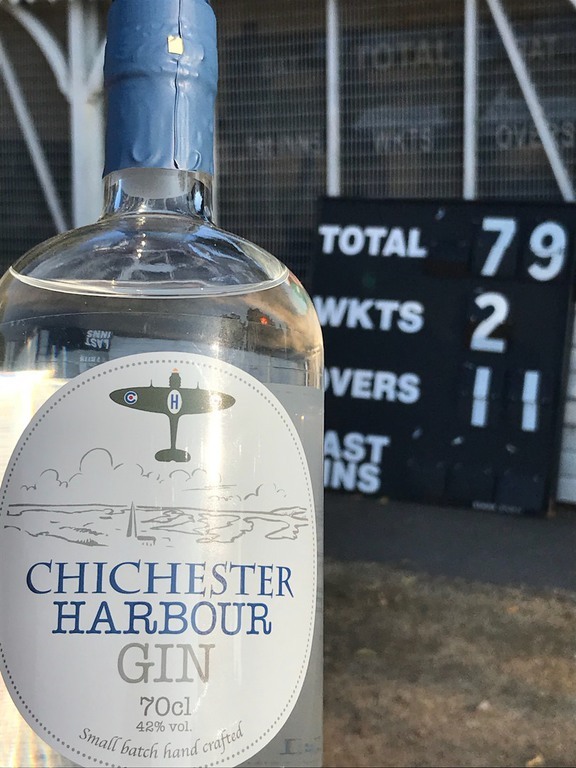 It was a case of Chichester Harbour gins all round as the Hawks made it four wins from their last five matches with a comfortable victory over Taverners at Priory Park on Tuesday evening. The scorebook will show a mere five run gap between the sides but considering the Taverners needed 26 runs off the last four balls, it was a credit to their captain Walter, who came in and smashed Phizackerley for 20 runs, that they got so close. Man of the match Tom Phizackerley won’t be too bothered though as hot on the heels of scoring 50 runs for Priory Park at the weekend, he came in at number 4 for the Hawks and carried his bat with a superb knock of 51 runs which set the foundation for victory. Chidham opener Peterson (36 runs) and number 3 Van Niekerk (23) also made significant contributions to the total before being bowled (Francisco) and caught (Lock) respectively. Fellow opener Burt (4) was caught early from a George bowl and Davey and Wild both went for a single but late runs from Badger, Strudwick and A. Clark boosted the final tally to 147. Peterson and Dungar opened the Hawks bowling attack and restricted the home side to 45 runs from the first 8 overs, Peterson getting the wickets of Henry and Ian C. in the process thanks to superb catches from Keith Davey. Davey almost made it five catches on the night but the next 3 chances went begging, the last of which left the skipper with a nasty hand injury. 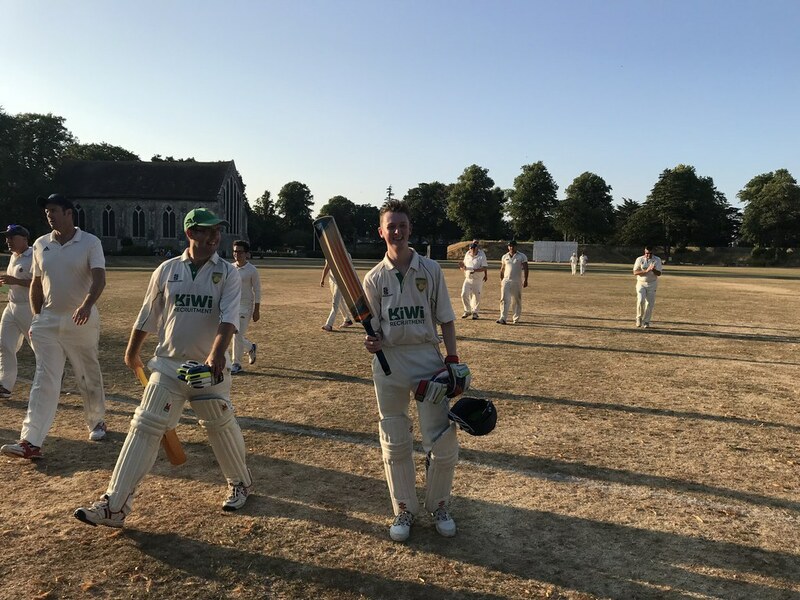 Next up to bowl were the ‘Bosham Boys’ of Badger (Tom) and Burry (Pablo) who were making their Hawks debuts – both performed well and the Badger even took a wicket. 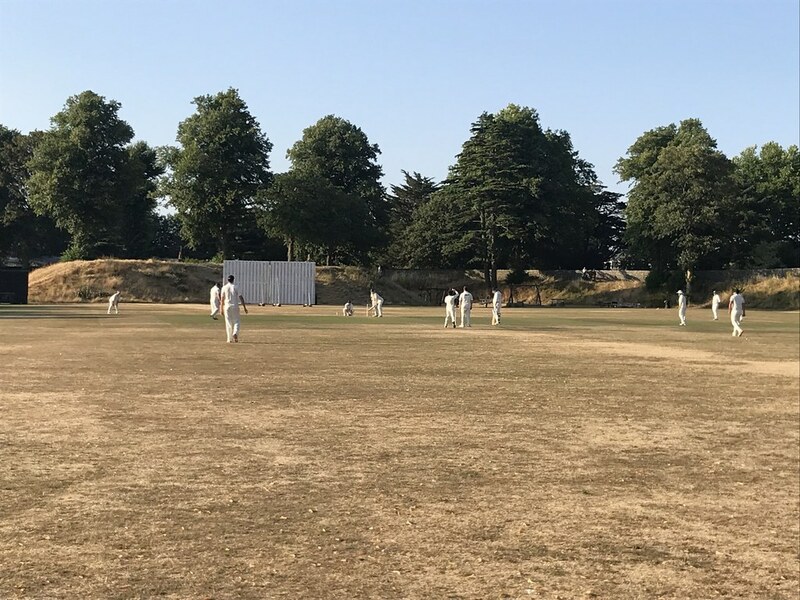 It was left to Andy Clark and Phizackerley to bowl the remaining six overs with the Tavs still requiring 50 odd runs for victory – both players secured two wickets a piece and the game was always in control, even if the last over did produce a small shock. 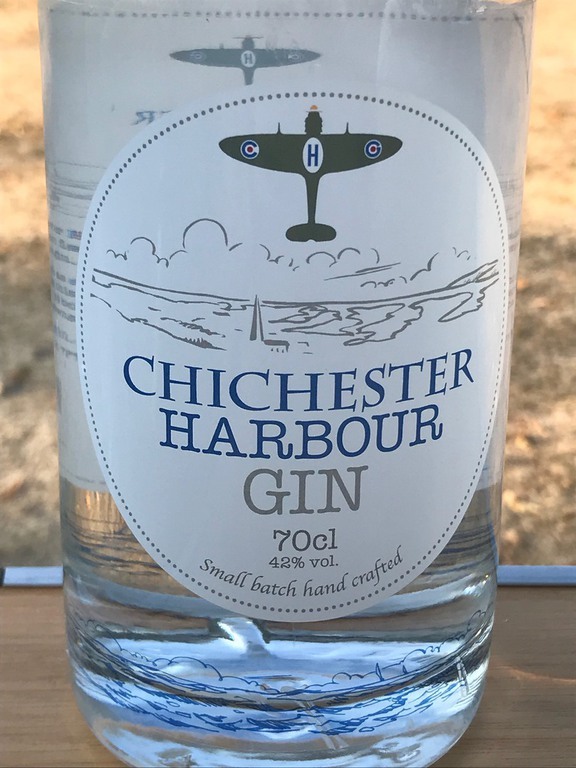 The highlight of the night had to be Paul O’Donohoe turning up with a box of Chichester Harbour gin and dishing them out at £30 a bottle – the product has been two years in the making but the wait was well worth it – hopefully one of those first edition bottles will be worth thousands in the years to come! Man of the Match: T Phizackerley (51 runs and 2 wickets including that of Rob Bright who was on 67 runs at the time). Paul O’Donohoe a close second for finally getting the gin bottles out.